Kalakesari Udaykumar was an Indian film actor and producer in Kannada cinema, He was conferred with titles like 'Pavanasutha, Kala Kesari, Nata Samrat. He was a good writer, who had authored many dramas and books. Udaykumar (5 March 1933 – 26 December 1985) was an Indian film actor and producer in Kannada cinema, who is renowned for his quality films. He was exceptional in making movies that which were unusual and odd from other films. He was conferred with titles like 'Pavanasutha, Kalakesari, Nata Samrat, Kalasarvabhouma, Gandugali, Kalabheeshma, Naadabhata. 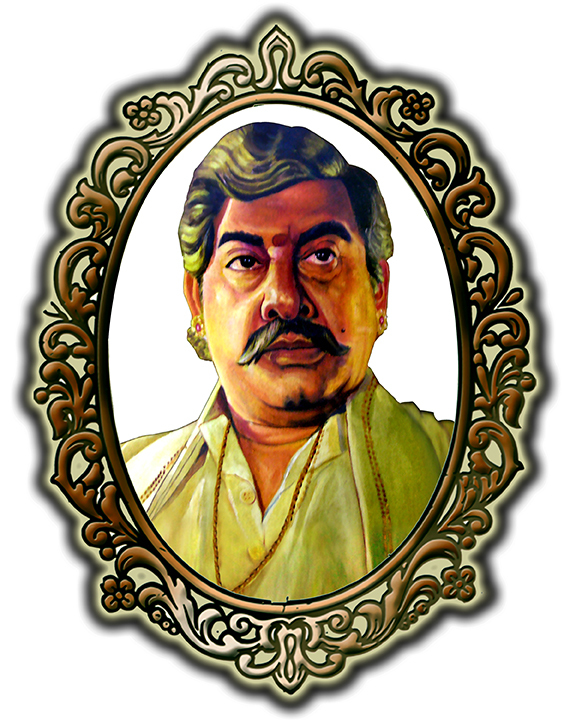 Uday Kumar, along with Kalyan Kumar and Rajkumar, were called as "Kumara Thrayaru" of the Kannada cinema. He was a good writer, who had authored many dramas and books. He differed with various other actors in character and personality. His son Vikram Udaykumar also an Actor acted in around 45 Films and several Kannada Serials. Udayakumar debuted as an actor in the 1956 film Bhagyodaya.He acted many films in 60's. “KALAKESARI”, “NATASAMRAT”,'PAVANASUTHA” UDAYKUMAR - a popular South Indian Film Artist of yester years. “Gandugali” Udaykumar has acted in 193 feature films which includes 171 in Kannada, 15 in Telugu, 6 in Tamil and one in Hindi. He has won many Regional and National awards for his best performances especially in Kannada Films. He is one amongst “KumarTrio” (Dr.Rajkumar, “Kalakesari”Udaykumar, “Kalarathna”Kalyankumar). Sri.Udaykumarji was a person with multiple skills. He is admired by his fans as a Play writer, a Lyricist, a Novelist, a Music Composer, a Producer, a Director besides a talented great Actor. A True patriot, who led the team of volunteers to serve his fellow people, when he was a teenager (The only artist to take part in INDIA's FREEDOM MOVEMENT at his young age). A Strong leader and a Powerful orator, who has fought for the purpose of 'Kanndigas unity'. Participated actively and took the frontline along with leaders like Ma.RamamurthyKannada flag , Aa.Na.KruA. N. Krishna Rao ,Thirumale ShriRanga Tatacharya (Karnataka Navoday movement), Ta.Su.Shama Rao, Dr.Ha.Ma. Nayak, Ta.Ra.Su and with many more had fought for the well-being of the language Kannada and the people of Karnataka, through his travels, Write-ups, public speeches throughout the state. A highly talented stage Artist who carried the social messages by his stageplays to the common people through “UDAYA KALANIKETHANA”, a Training school of Theatrical arts and Film acting, found by him. Despite his busiest cinema shooting schedules, right from the year 1960, to support the downtrodden professional theatrical groups, Kalakesari UdayKumar use to cater at least a week in a month with the drama troupes by acting in there Plays all over the state Karnataka. The 'Icon' and the 'Legend' Kalakesari Udaykumar(1933-1985) 'was' and 'is' an inspiration to promote several social and cultural activities. “PAVANASUTHA KESARI KALAA SHAALA” a Registered Charitable Trust came in to existence in the fond memory of KALAKESARI UDAYKUMAR in the year 2005 on his 73rd Birth Day. The TRUST was inaugurated in a cultural event “Udaya-73 ONDU SAVINENAPU”(Udaya-73 a fond memory) arranged at his birthplace Anekal, Bangalore. The Trust is led by Mr. Vikram Udaykumar, the Founder President and supported by Smt. Kamalamma Udaykumar, the Chief Trustee, a team of Executive Trustees and an Advisory committee consisting of experts from several walks of life like Doctors, Chartered Accountants, Journalists, Advocates and Seniors. The Trust is aiming at the social and the cultural services and has promoted a Formal Educational Institution in the name “P.S.M.SCHOOL” at Anekal and “KALAASHAALA” a Cultural School is active in providing opportunity to learn the Classical Music and the Performing art-Bharathanatyam. The dreams of the Trust are several. Formal Education, educating and encouraging the rural talents in the Performing Arts, arranging Drama Competitions at state level, felicitation of Achievers from different fields, arranging Health camps & Blood Donation camps, so on and so forth. Copyright © 2016 Udaykumar. All Rights Reserved.